Our growing team at ReSurfX is composed of professionals with proven success in different arenas and is setting the stage for our interdisciplinary approach to solving major market needs centered around better data generation and utilization. Hidden Leadership: Our solutions and products are built with participation of a hidden tech leadership with remarkable breadth and depth of cutting edge technological experiences who have spanned more than one top tech enterprises. Dr. Suresh Gopalan (CEO & Founder) is a Mechanical Engineer and Biotechnologist with over 20 years leadership experience developing and utilizing variety of biological systems, technologies and other computational improvements. Inventor of the technologies and IP used by ReSurfX, his expertise include conceptualizing complex phenomena, developing practical, scalable solutions and strategic alignment to data and technology intensive enterprises. Dr. Gopalan has been involved with R&D activities at reputed institutions in the USA and elsewhere, including Massachusetts General Hospital and Harvard Medical School & Swiss Federal Institute of Technology, making pioneering contributions. An active contributor to the innovation ecosystem, he is a member of 'Innovation Series Committee' of MIT Enterprise Forum'. He also blogs at Hi-Brow Perspectives: Alternative perspectives on emerging themes. Dr. Frederick M. Ausubel (Board of Advisors) is a Professor of Genetics at Harvard Medical School. 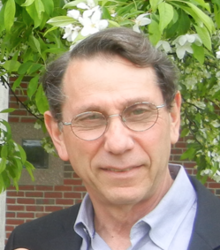 Dr. Ausubel is the recipient of the Thomas Hunt Morgan Medal for lifetime achievement in the field of genetics, an elected member of the National Academy of Sciences, the American Academy of Microbiology, and the American Academy of Arts and Sciences. Besides serving on a variety of editorial boards he is a founding editor of Current Protocols in Molecular Biology. Dr. Ausubel’s pioneering scientific work concerns microbial pathogenesis and host defense responses that have been conserved in evolution. David Kuttler (Board of Advisors) is a veteran expert in enterprise IT architecture in Pharmaceutical and healthcare enterprises. He has been a CIO of Vertex Pharmaceuticals, VP of Global Enterprise Architecture at Johnson & Johnson, and a Senior Director at Medco. Dave was our prior COO (Chief Operating Officer) currently on a personal need based break. 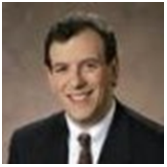 Joseph Sabatini (Board of Advisors) is helping the company with Corporate Development matters. He is the Managing Director of the Innovation Network, former Vice Chairman of Boston Entrepreneurs Network and a former Partner in the Technology and Innovation Practice of Arthur D. Little. Prior to that, he was a Vice President of TurboChef Technologies (NASDAQ:OVEN). During his career he has participated in about 20 M&A transactions as an advisor to private equity and strategic investors. He has a BS in Engineering from Columbia University, an MS in Materials Engineering from Northeastern University. Dr. Sandeep Kochhar (Board of Advisors) has over twenty years experience in software architecture, business intelligence, data warehousing, analytics and visualization. He is the Principal at CoboTech. Previously, Dr. Kochhar was CTO and co-founder of Elytics, a web-analytics company. 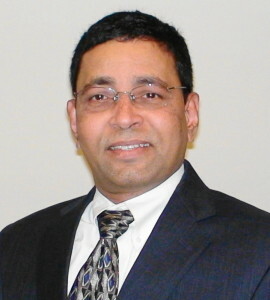 He has held senior engineering and consulting roles at small and large companies (including Fidelity Investments, ComputerVision, and IBM). He holds a B.Tech. degree in Electrical Engineering from Indian Institute of Technology, Delhi, and M.S. and Ph.D. degrees in Computer Science from Harvard University.